Fire Organix specializes in the production of hemp-derived, water-soluble CBD products. Fire Organix specializes in the production of the highest quality hemp-derived cannabinoids. We provide a wide range of products to retail and wholesale companies in the nutraceutical, nutricosmetic, and functional foods industries. Fire Organix works with certified farms, reputable laboratories, and existing leaders in the hemp industry to assure our customers receive consistent quality and supply. Fire Organix is committed to staying on the cutting edge of the CBD industry. Fire Organix produces water-soluble liquid of uncommonly high quality. No shortcuts are taken — from seed to bottle. Our propriety Water Soluble Technology (WST) results in a liquid form of CBD that is completely clear and water-soluble. Fire Organix produces water-soluble CBD that is up to 800% more bioavailable than conventional CBD oils. Our water-soluble CBD is rapidly absorbed by the body. All Fire Organix products begin with naturally grown hemp, free of all toxic pesticides, fungicides, fertilizers, and heavy metals. It’s no secret – oil and water don’t mix. Like most plants, hemp is packed with oils. This means that extracted CBD oil is not water-soluble in its natural form. CBD is a hydrophobic (water-fearing) substance. Subsequently, conventionally prepared CBD oil has extremely limited water-solubility and is not readily bioavailable. By using our proprietary Water Soluble Technology (WST), Fire Organix solves this problem. Our unique process results in a liquid CBD product that is significantly more bioavailable than conventional CBD oil. Our CBD nanoemulsion is rapidly effective. Our dosages are more accurate because the formulation is pre-dissolved in water, resulting in up to 8x more bioavailability. Fire Organix uses a proprietary Water Soluble Technology (WST) to produce an exceptionally effective CBD formula. Our proprietary process addresses the challenges faced by the nutraceutical, nutricosmetic, and functional foods industries. Our WST results in high bioavailability of functional ingredients, which ultimately means a better, more effective product. Our specialized process employs a nano-sized hydrophilic (water-loving) membrane around the the fat-soluble nutrient. In our case, the fat-soluble nutrient is CBD. By encapsulating the water-insoluble nutrients, we can produce a formulation that is fast-acting, safe, and exceptionally bioavailable. 1. Encapsulates fat-based nutrients. This results in higher absorption rates through the walls of the enterocytes found in the small intestine. 2. Improves the stability of the lipid-based active ingredients (cannabinoids) after conversion to a liquid-based form. 3. Allows a larger payload of functional fatty acids, thus eliminating the problem of dosage limitation for many functional ingredients. 4. Allows our water-soluble liquid CBD to withstand pasteurization temperatures and not be pH sensitive. Fire Organix is committed to establishing and maintaining long-term business-to-business relationships. We partner with innovative leaders in the nano-biologics and hemp industries. Our partners share our belief that outstanding customer service and consistently high-quality products are the foundation of a successful partnership. Our partners have a solid track record in meeting manufacturing deadlines, which is essential in providing timely distribution to our customers. The Fire Organix team goes above and beyond to ensure our wholesale partners are receiving a consistently formulated, high-quality product. You and your customers will appreciate the quality that Fire Organix provides. We look forward to helping your business grow. Our CBD Nano Concentrate is packaged, branded, and ready for immediate business-to-consumer distribution. All Fire Organix shelf-ready products are manufactured in a GMP-compliant facility and factory-sealed with tamper evident childproof caps. Each bottle is made of UV resistant glass. UV resistant glass protects cannabinoids from decomposition caused by light. Our packaging increases the shelf-life of our CBD Nano Concentrate. CBD and other phytocannabinoid-rich formulas are available in bulk to our wholesale partners. We supply businesses with raw material, ingredients, and formulations to enhance the quality of their existing products. Our partners are provided with high-quality products and the necessary documentation to meet their customers’ needs. 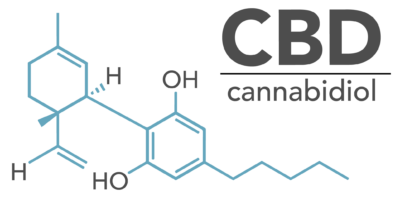 Cannabidiol (CBD) is one of the most prevalent cannabinoids found in hemp and cannabis. Cannabidiol (CBD) and tetrahydrocannabinol (THC) are the two most abundant compounds in the cannabis plant. The most significant difference between CBD and THC is their effects. CBD is non-psychoactive, meaning that it does not produce euphoria or intoxication . THC is the main psychoactive cannabinoid in marijuana and is responsible for the euphoric and intoxicating effects of the cannabis flower. Although CBD and THC can coexist in some strains of cannabis, THC is nearly non-existent in industrial hemp. Marijuana and industrial hemp are varieties of the Cannabis sativa plant. While very closely related genetically, hemp and marijuana are extremely different in terms of their uses. Hemp is one of the oldest domesticated plants and is known to have been used by humans for over 9,000 years. Today, hemp is grown industrially around the world for a myriad of practical purposes, none of which involve the psychoactive properties of the plant. Industrial hemp is required to contain 0 – < .3% THC. Cannabis, on the other hand, is typically cultivated for its psychoactive properties. Cannabis breeders selectively cross cannabis plants to produce cultivars with specific traits. Some of these traits may include high THC content, high terpene content, and preferred aesthetic traits of the cannabis flower. I own a business and would like to incorporate CBD into my products. Can you help me formulate a recipe? Yes, Fire Organix has an in-house chemist, as well as direct relationships with certified labs throughout the United States. We offer formulations specifically tailored to our wholesale partners’ requirements. Fire Organix can produce formulas from full-spectrum and isolated extracts. Is shipping available in all 50 states? Fire Organix can ship to all fifty states. What if my company wants to purchase bulk on a monthly schedule? Do you offer better pricing with a contract? Yes, if you are a distributor or formulator and have a set requirement of product to be fulfilled, we will secure your monthly order to assure your requirements are met. Please contact us to discuss supply pricing. I would like to become a wholesale partner, but prefer to sample your product before placing a large order. Do you sell samples? Yes, small batch samples are available. Please contact us directly to discuss wholesale and bulk pricing. How do you achieve the extended expiration dates for your shelf-ready products? Our shelf-ready products have an expiration date of 18 months. Our production process and packaging equally contribute to an extended shelf-life. Heat is often responsible for rapid reduction in product potency. Our proprietary Water Soluble Technology allows for a water-soluble CBD liquid that keeps 100% of its potency for 24 months after being submitted to pasteurization temperatures for 15 seconds. Our shelf-ready CBD Nano Concentrate is packaged in UV resistant glass or light-refracting bags. UV resistant and light-refracting materials protect sensitive products from decomposition caused by light. I have additional questions. What is the best method to communicate with Fire Organix? Reach out to us through our contact page. Additional contact information is available on the contact page. We look forward to answering your questions! Fire Organix water-soluble 15mg single serving CBD (cannabidiol) isolate was donated for use as treatment for evacuees from Paradise, Magalia, Concow, and Oroville California. Evacuees ranged from ages 7 months to 94 years of age. Over the course of this nearly 4 week period we distributed 250 treatments to evacuees as well as medical staff volunteers with great effectiveness for symptoms including pain, inflammation, anxiety, post traumatic stress, and insomnia. Dosages remained at 15mg (with the exception of one evacuee with severe swelling of the foot who was allowed 2 x 15mg treatments per day). We found mostly relief to be immediate following consumption. CEO of Live Life Juice Co.
Fire Organix is committed to providing verifiable information that is backed by science. We value transparency and strive to be a reliable resource for CBD related education. There are many nanoemulsified CBD products on the market, but none are as effective as ours. All of our products begin with naturally grown hemp, free of all toxic pesticides, fungicides, fertilizers, and heavy metals. Fire Organix specializes in the production of the highest quality hemp-derived cannabinoids. All products produced and distributed by Fire Organix are independently tested for potency, purity, and consistency. All products distributed by Fire Organix are independently tested for potency, purity, and consistency. Our products are manufactured using the highest- grade materials, and contain no pesticides, no residual solvents, no heavy metals and no mildew or mold. Our industrial hemp products are produced in a GMP-compliant facility. The facility conforms to the 2014 US Farm Bill, section 7606, which federally legalized the cultivation of industrial hemp under certain federally mandated conditions. All products we produce, manufacture, market or distribute are fully compliant with the laws of all 50 states, as well as relevant local and international law. FOOD AND DRUG ADMINISTRATION (FDA) DISCLOSURE: These statements have not been evaluated by the FDA and are not intended to diagnose, treat or cure any disease. Always check with your physician before starting a new botanical extract, medicinal herb or dietary supplement program. © 2017 Fire Organix. All Rights Reserved. website by Studio Everest.